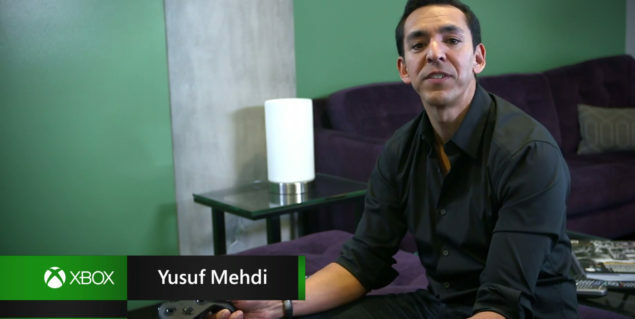 Microsoft’s corporate vice president Yusuf Mehdi, seems to be oblivious with the fact the Xbox 360 DLC is supported on the Xbox One through backwards compatibility (BC). Speaking at the Credit Suisse Technology Conference, Mehdi answered a question from analyst Philip Winslow regarding Xbox 360 DLC support for the Xbox One through BC, and his answer is quite remarkable. QUESTION: How about, will you have DLC play on the 360 games for the Xbox One? YUSUF MEHDI: For backward compatibilities? Yeah, I think we don’t have DLC I think right now. Mehdi seems to be rather oblivious of the fact that Microsoft has already confirmed that they will support both digital, and disc-based entitlements for Xbox 360 games running on Xbox One. Microsoft confirmed this back in November, when asked by Game Informer. DLC either needs to be on the 360 disc itself and installed via that, or you need to purchase the DLC from Xbox.com or via your Xbox 360. The Xbox 360’s store, and thus everything in it, is separate from the Xbox One’s store, and is not emulated or accessed through backwards compatibility. “Right now, Backward Compatibility does not emulate the Xbox 360 store and new Xbox 360 games can be purchased on your Xbox 360 or via Xbox.com,” a representative told Game Informer. Mehdi added that he thinks that Microsoft is looking at doing some of the DLC backup. I think we’re looking at doing some of the DLC backup. For sure we have the games, we have 104 games that are available now. We plan to update some every month. And I’ll check on Black Ops and on the DLC capability. Xbox 360 DLC is in fact already available for supported titles. 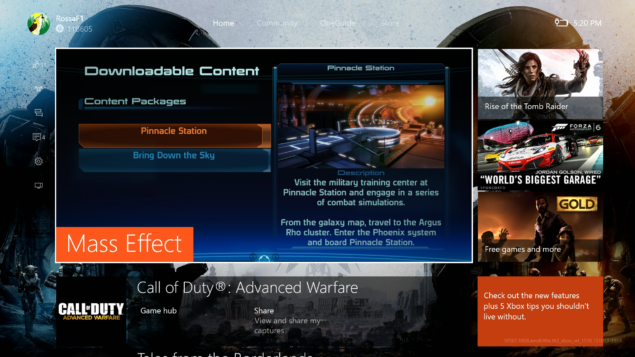 A month ago DLC for Mass Effect already became available, as can be seen in this image from a user on Reddit.